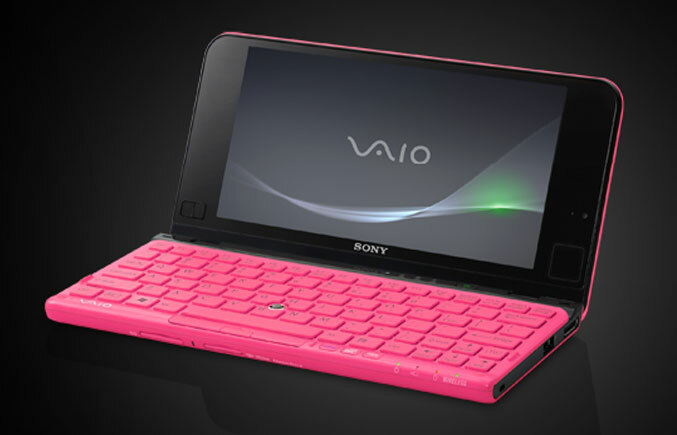 The stylish Sony VAIO P-Series “lifestyle” netbooks were first introduced at the Consumer Electronics Show (CES), last year, in 2009. At that time, the P-Series looked like they were focused more towards women, because of their super stylish design. But Sony has not given up yet on its eight inch VAIO P Series, in fact, they have updated the design a little bit, which will maybe help appeal to the male consumers, and have also equipped them with a faster Atom Z560 Processor and a touchpad, and last but not least, an accelerometer that gives the ability to use the netbook as an “e-book” to read while flipped vertically. 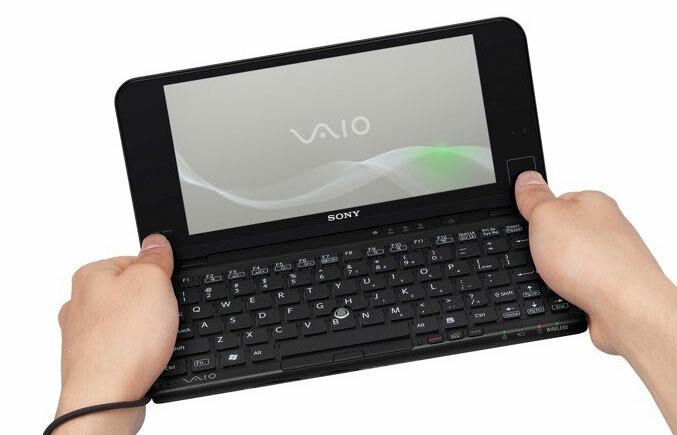 After the VAIO P-Series of netbooks were introduced at CES 2009, the device back then was lacking in performance and battery life, but Sony decided to have another go with it. 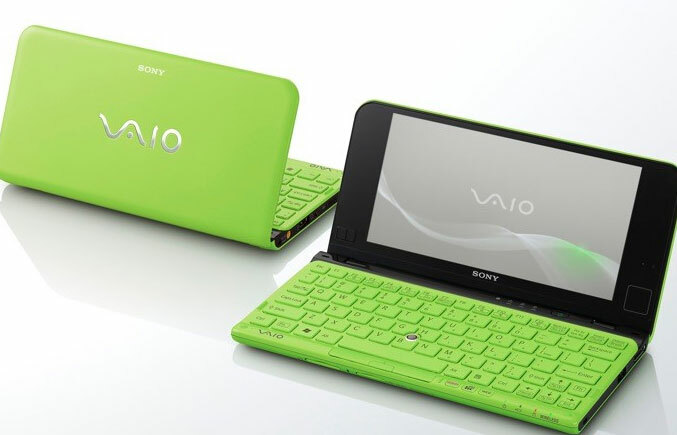 The Sony VAIO P-Series of lifestyle netbooks are available in five colors in its unique and stylish design – white, black, green, pink and orange. This is, in fact, is one of the bigger reminders on why this device was so hyped in the first place – because of its compact slim chassis and smooth lines combined with matt plastic resulting in a stylish and funky design. I think that most of the consumers who will want to spend $800+ on a netbook like this will like the black and white models of the device, except if they are not women who like shiny eye-piercing colors. Weighting at just 600 grams / 1.3 pounds, the little looker is enough light and thin to carry around without worrying about it. The portable device will even fit in a larger pocket, but it will be quite uncomfortable to carry it like that around, but none the less, still a thought. Despite all of its portability, people will still have trouble using it in certain occasions. The first thing we are going to notice on the Sony VAIO P-Series netbook is the two black lines of space on the two sides of the screen. Luckily, Sony has made a cosmetic addition by adding a touchpad on the right side, and two buttons on the other left side, giving the comfort of browsing the internet or just navigating media while holding the device with two hands (like a portable gaming console). It is actually very easy to use and comforting to navigate, thanks to its portability, but will not be the feature used very often by the consumer, because of its size. 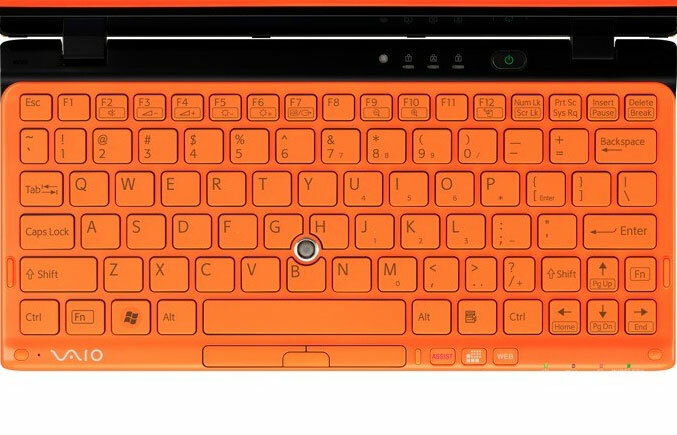 A regular touchpad, however, would be much more comfortable to use, since it is very awkward to type on the keyboard while holding it like that. By being equipped with only two USB ports, a headphone jack, and SD and Memory Stick compatibility, the Sony VAIO P Series netbook is still, and has always been lacking in port selection. It does not have Ethernet or VGA but it is possible to attach those ports thanks to the expansion port. You can find Ethernet and VGA dongles for around sixty bucks, but let’s face it; Sony should have included those standard ports for the money they desire for this product. 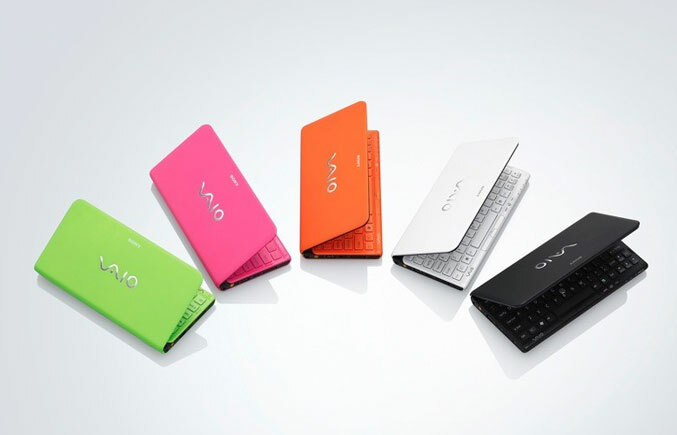 A troublesome aspect of the VAIO P-Series is the uncomfortable plastic and clicky keys of the keyboard. The distance between the keys does not look precise, and speedy writing will not have a good result. None the less, if you want to write quick and shorts messages or notes, you will get away with just a few typos. The screen of the P-Series is an eight inch display with a maximum resolution of 1600 x 769 pixels, which is a ridiculous resolution for a device so small. Everyone who owns this product will say that you have to literally glue your face to the screen if you want to read something. The text is extremely small and extremely difficult to read from a normal distance. Sony, however, has tried to provide a solution for this problem by adding a button which immediately switches the resolution of the screen to 1280 x 800 pixels, zooming in the content on the screen. It is not the best solution, since you are forced to lower your resolution while working, in order to be able to read text on this screen, but it does the job. The resolution 1600 x 769 pixels has a very wide aspect, which makes videos appear with vertical black lines on each side of the screen. The P-Series however has the surprising ability to play 720p and 1080p videos in a watchable frame rate, thanks to the integrated Intel GMA 500 graphics card. Despite all that, high definition flash videos are not watchable with a very sloppy frame rate, and should be avoided while using this device. 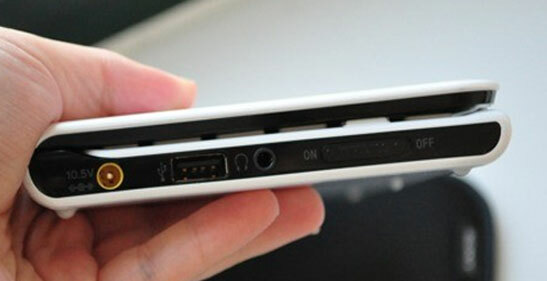 A great feature of the new Sony VAIO P-Series netbook is the accelerometer. When you grab the laptop and flip it vertically, the screen automatically flips to that position. It takes some time to load, but is still a very neat feature. 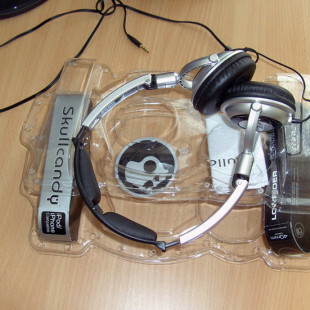 It can be used to read web pages or transform your device into a digital book. This function also works on Adobe Acrobat Reader, which is perfect for reading your downloadable e-books. The Sony VAIO P-Series netbook is available with different options for the processor and 2GB of RAM Memory, with different capacity options for the solid-state drives. For a few extra dollars, you can get a faster Z560 Atom processor, or just save them and get a Z530 or Z550. The VAIO P has extreme lags while trying to navigate the Windows 7 Home Premium operating system, which is provided with the device. It also comes with a lot of preloaded software, which takes nearly half of the capacity of the solid-state drive in the device, thus making it even slower in some situations while using the functions of Windows 7 Home Premium. Compared to other netbooks of this price range, the battery life of the VAIO P-Series is very, very short. Due to the device’s size, it has a four-cell 19Wh battery which lasts no more than three hours, and no more than two hours if you use it intensively. Sony will of course offer a better battery for a hundred bucks more. Overall, the Sony VAIO P-Series of netbooks is going to appeal to consumers who have a few extra dollars in their pocket, and want to spend them on a secondary portable computer that wouldn’t be used in important occasions.